Dr. Andrew Bernstein graduated from the Honors Program at University of Michigan, Ann Arbor in 1995. He owned and operated a Silicon Valley Internet corporation before attending medical school at the Chicago Medical School where he graduated as a member of the Alpha Omega Alpha Honor Society. 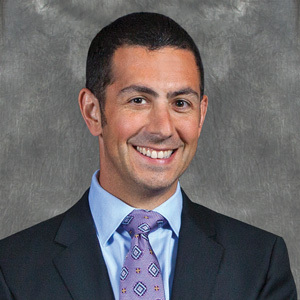 Dr. Bernstein completed his residency training in General Surgery and Urology at William Beaumont Hospital in 2007. He then completed a specialized fellowship in Laparoscopic and Robotic Urology (minimally invasive surgery) at the University of Chicago, graduating in 2008. He is certified by the American Board of Urology and the author of numerous peer-reviewed articles and textbook chapters. He has spoken to local, regional and national audiences on a variety of urologic topics, including bladder cancer, urinary incontinence and robotic prostate surgery. Dr. Bernstein is Chief of the Department of Robotic Surgery at Overlook Hospital in Summit, NJ. He was named a 2016 Castle Connolly Top Doctor for the New York Metro Area.